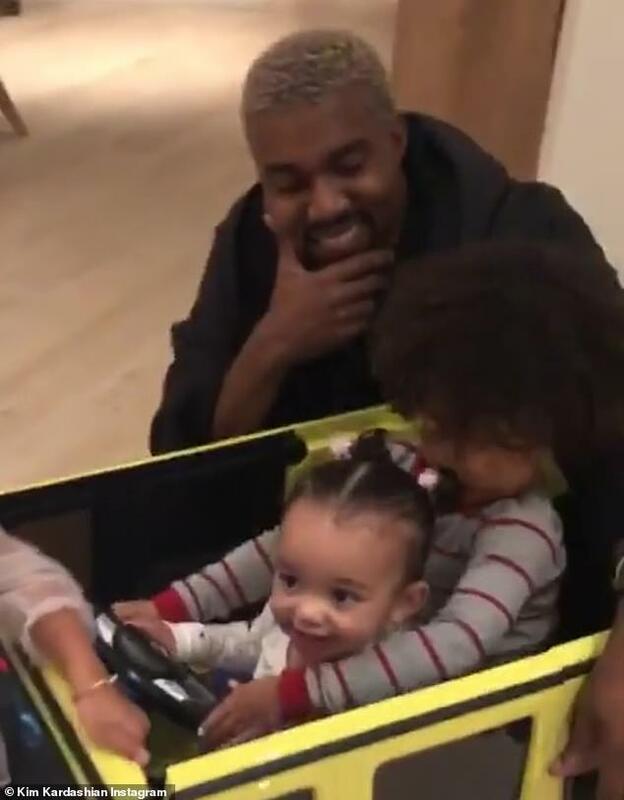 She welcomed her daughter Chicago West via surrogate one year ago today. 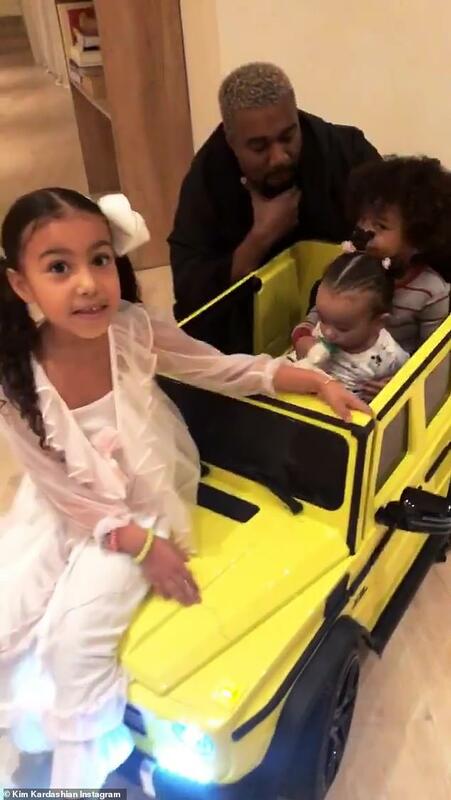 And celebrating her first birthday, Kim Kardashian hosted a small and intimate family dinner for the little one on Tuesday evening, the Daily Mail reports. 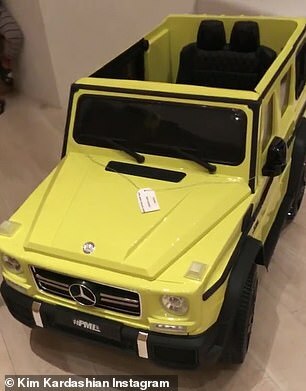 Taking to social media, the 38-year-old dotting mother shared a sweet video of Chicago and her other children North, five, and Saint, three, playing in a new mini G-Wagon car gifted by Auntie Kourtney, 39. The birthday girl kept things casual in a white onesie while sitting on brother Saint's lap for the joy ride. 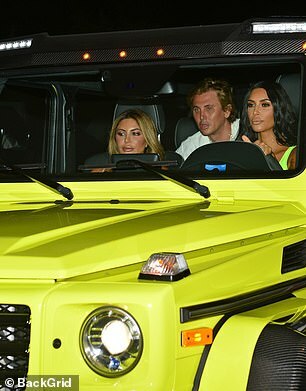 Attending the family dinner was Kris Jenner, her boyfriend Corey Gamble, Kourtney as well as grandmother MJ. 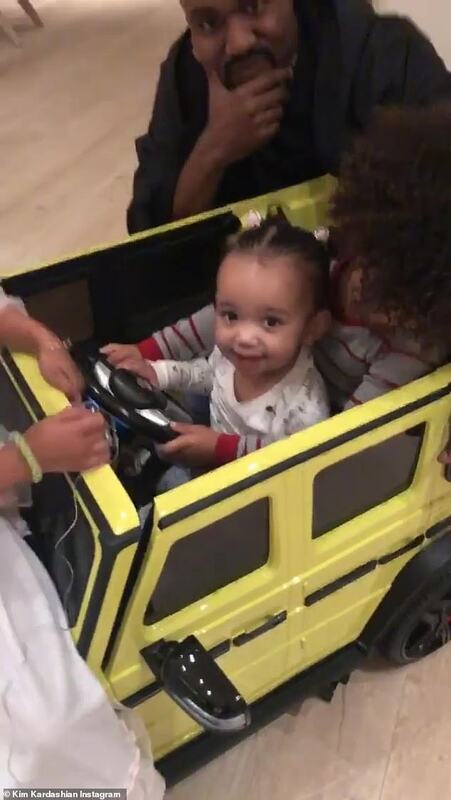 And while Chicago may have only turned one today, she won't be the youngest Kardashian-West family member for much longer. After weeks of reports, Kim confirmed on What Happens Live with Andy Cohen on Monday night that she was in fact expecting her fourth child, a son, once again via surrogate.